In part one of our three-part series on expanding your dairy farm, we'll discuss the relationship between packaging, distribution and marketing and how new forms of dairy product packaging can help expand your dairy brand. From the iconic scene of the milkman delivering glass bottles to the more modern image of the easy-to-drink carton, milk containers have always been a dairy packaging staple. For today's small dairy business, that means dairy packaging is regarded by many as a branding and marketing tool. Thankfully, given the recent manufacturing advances in packaging technology, it's never been a better time to revisit your current packaging process to see if you're using the most cost-effective, appropriate type for your business. Aside from providing a container for your product, this is the core reason to think about packaging. In a commoditized market, distinguishing your brand from many others is the difference between a sucessful business expansion and not shifting the needle at all. As new types of packaging become available, consider the various unique and personalized formats out there. Choosing distinctive packaging can help make your dairy brand more noticeable, which will ultimately allow your products to market themselves. Whether you're a dairy farmer who self-packages, a dairy cooperative or a processor identifying new packaging options today's suppliers can provide a large array of options. Before you start however, remember the first step to finding the right packaging solution for your dairy depends on your marketing goals and how they correlate to business expansion. If your dairy's goal is to market the shelf-life of your milk, it's time to check out recent innovations in packaging that can really support that. For example, Tetra Pak's new Tetra Evero® Aseptic packaging is designed to maintain a sterile environment that helps milk stay fresh for longer. Fully recyclable in most states, the TEA boasts a shelf-life of up to six months. In addition, the rectangular carton is light, easy to ship, and can be stored even when space is limited. Sometimes packaging can yield a variety of benefits to the consumer. In this case, Tetra Pak’s new dairy packaging “combines the environmental advantages of a paperboard-based carton with the easy handling and pouring benefits of a bottle"according to Anne Marie Mohan, Senior Editior of Packaging World. So if boosting shelf-stability of your dairy product or consumer convenience tie in to your marketing and, therefore, expansion goals then these new innovations may help. Sustainable packaging that can biodegrade faster and more fully than ever before has been a big trend in the packaging world in recent years. For small businesses who's marketing goals include attracting more eco-concious customers eco-friendly packaging is definitely the way to go. With a wide range of eco-friendly options now available, it's never been easier to use packaging to communicate with customers. Considering how important this topic has become to consumers, we recommend factoring in sustainability when thinking about investing in new packaging or expanding dairy business. No matter what packaging you choose to help with your dairy expansion goals, the industry has come a long way from the labor-intensive, strictly-offline world farming used to be. Your packaging may look great on the store shelf but are you doing a good enough job of also promoting it to consumers before they even head for groceries? 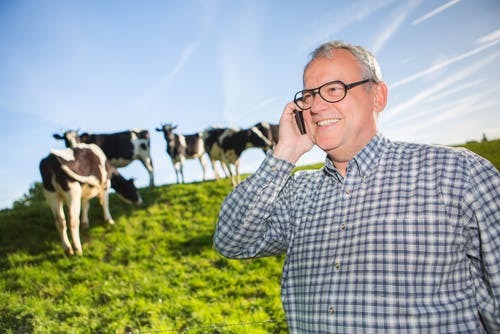 According to Phil Durst of Michigan State University Extension: “Dairy production now requires complex management that examines not only the cows and fields, but also the economic, regulatory and social environment in which dairy farms operate." As a result, investing in packaging may also mean investing in digital support to market your new brand look and feel to consumers on social media and other online outlets. Whatever decisions you take when it comes to packaging your product, we hope this article will help you make the right decision to inform expansion. 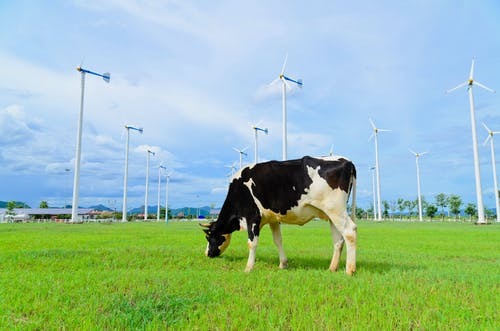 In the next article in this series, we'll explore how innovation in energy management can support dairy expansion through lower operating costs.